The Colorado Native Plant Society is dedicated to furthering the knowledge, appreciation and conservation of native plants and habitats of Colorado through education, stewardship and advocacy. The Durango Botanical Society is committed to the design and development of public gardens throughout SW Colorado for the purposes of education and demonstration. DBS offers workshops, trainings, and educational programs. We are members of Plant Select! This program is a collaboration between Colorado State University and Denver Botanic Gardens. 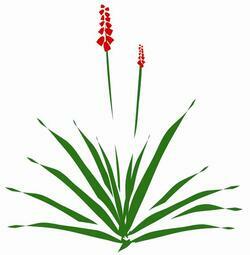 Their purpose is to seek out, identify, and distribute the best plants for Colorado gardens. We will be selling various selections from Plant Select throughout the nursery. Ask one of our knowledgeable staff for more information. North American Rock Garden Society-NARGS is for gardening enthusiasts interested in alpine, saxatile, and low-growing perennials. It encourages the study and cultivation of wildflowers that grow well among rocks, whether such plants originate above treeline or at lower elevations. NARGS provides extensive opportunities for both beginners and experts to expand their knowledge of plant cultivation and propagation, and of construction, maintenance, and design of special interest gardens. Southwest Colorado Wildflowers has photographs and descriptions of 1000 species of wildflowers, ferns, and trees found within a 150 mile radius of the Four Corners area of Colorado, New Mexico, Arizona, and Utah. ​The Durango Tree and Shrub Guide offers information on ideal plantings for Durango. ​The Garden Project of Southwest Colorado strives to promote gardening in our community. They provide access to garden programs, education, and access to local produce! Be sure to check out their educational resources on their website. And here is where to calculate the benefits of any tree you plant! Great resource for identifying wildflowers in your area along with educational articles with further information about native plants. What types of helpful planting link would you like to see? Let us know here!